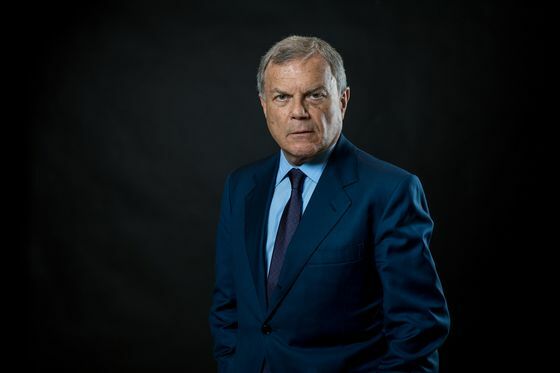 (Bloomberg) -- Three decades after turning a maker of wire shopping baskets into the world’s biggest advertising company, Martin Sorrell is about to find out if he still has the magic touch. The former WPP Plc chief executive officer will take control of a publicly traded company just over six weeks after his abrupt exit from WPP. S4 Capital Ltd., a vehicle largely funded by Sorrell, will be acquired by Derriston Capital Plc, an investment firm that raised 2.3 million pounds ($3 million) in its initial public offering at the end of 2016. The reverse takeover will leave Sorrell as chairman of Derriston, which will change its name to S4 and seek to make acquisitions in communication services, Derriston said. The announcement is the answer to speculation about what Sorrell was planning after he was ousted from the advertising group following a probe into alleged personal misconduct and misuse of company assets. His return after a brief hiatus will be watched closely by WPP and it peers, which have been pressured in recent years both by internet giants such as Alphabet Inc.’s Google and Facebook Inc., but also seen marketing business gobbled up by the likes of Accenture Plc. Sorrell resigned from London-based WPP last month. The shell company that he built into a global network of more than 400 agencies with 200,000 employees didn’t make the allegations against him public and Sorrell has denied any wrongdoing. S4 recently raised 51 million pounds, Derriston said, of which Sorrell contributed 40 million pounds, with the balance coming from institutional and other investors. In addition, a number of S4’s institutional investors have indicated they are willing to provide more than 150 million pounds of further funding to support the company’s acquisition plans, it said. Sorrell hasn’t said where he intends to invest, but his exit from WPP has opened the ad company up to reorganize and potentially attract bids for various divisions as its strategy shifts. Kantar, the WPP data management unit that gives companies insight on consumer trends, is the most obvious candidate for disposal, Liberum analyst Ian Whittaker said last month. Sorrell was a strong advocate of keeping the division while at WPP, although the price -- which Whittaker has estimated at 3.5 billion pounds -- is much higher than S4’s initial purse. Sorrell, a perennial public figure during his tenure at WPP, attended Meghan Markle and Prince Harry’s wedding this month and is scheduled to appear on the main stage of next month’s Cannes Lions ad industry festival. In January, after a year in which it made no deals, Derriston announced a change in strategy, saying it now seeks acquisitions within all technology and other high-growth sectors from just focusing on medical technology.